Now is as good a time as any to talk about the tangled web of the Dota 2 subreddit and its relationship with the actual game. I’m going to assume you’re acquainted with the fascinating social matrix that is Reddit. There’s probably enough to say about Reddit to fill the pages of a hundred Sociology masters’ theses. If you’re not familiar with the Dota 2 subreddit specifically, it’s a community not unlike other gaming communities. In fact, it’s pretty standard for Reddit. The Dota 2 subreddit, like Reddit on a whole, has some ground rules for what’s allowed and what isn’t. The mod team is, for the most part, fairly hands off, and focuses on enforcing two rules: no doxxing, and all content has to be Dota-related. But what constitutes Dota-related? What does doxxing entail on a forum that’s devoted to talking about publicly-known personalities and players? And why does Valve seem so intent on listening to the stream of complaints, suggestions, and ideas that emerge from the Dota 2 subreddit? Valve has a dev forum where users can document bugs that they find in the game and report them for eventual repair. What’s used most often, though, is public call-out threads on Reddit. While the Dota 2 subreddit is one board in a sea of online discussion space, it’s probably the largest and most-visited out of all English language Dota forums. Players post bugs to the subreddit because they know that Valve pays attention to Reddit. You’ll see programmers and representatives from the company occasionally make posts or answer questions. The event that sealed the Valve – /r/Dota2 relationship was Gabe Newell’s infamous post about the decision to fire James “2GD” Harding during the Shanghai shitshow Major. This event was proof that the subreddit had become one of the primary lines of communication between the big kahuna at Valve and the playerbase. While it’s an effective means for Valve to communicate with a large portion of their players, it’s also a double-edged sword: Reddit users now had proof that their virtual megaphone is the loudest. Often it seems like the majority opinion on the subreddit is equated with the majority opinion of the playerbase at large, which isn’t necessarily true. Too often posters forget that while their forum may speak the loudest, they likely don’t represent an actual majority of the players in the world. The Chinese and Russian-speaking communities, for example, have a much smaller presence on the Dota 2 subreddit. Valve definitely pays attention to trending topics on /r/Dota2. Several changes to the game have been implemented based off of complaints, suggestions, or even shitposts that graced the top of the subreddit (c’mon, did any of you expect Pocket Riki to be a thing?). Outrage over KOTLguy’s lack of an invite to TI5 ended up securing him an invite in the 11th hour. But when does paying attention to the subreddit cross the line into pandering? A complaint thread about the Reef’s Edge terrain at TI7 made it to the top of the subreddit, and later matches were played on the normal terrain. Now, maybe people at Valve also decided that it was too distracting and were concerned it would detract from gameplay, but it seems like the change was implemented specifically because Reddit complained about it. Reddit users see the subreddit as a way to get their changes implemented, and it often works. Subreddit subscribers wanted changes made to Dota 2’s report system, and Valve made these changes, but they came with some unintended consequences. Lowering the number of available reports was intended to cut down on unfair reporting (popular streamers and Techies players were being reported and sent to Low Priority just for fun/because someone didn’t like them). But having fewer reports available across the playerbase meant that more griefers were slipping through the net and ruining games. Comment from discussion Novu’s comment from discussion "Stop blaming Valve for listening to reddit.". Unfortunately, this is sometimes the outcome. While Valve can make changes in Dota 2 to please the vocal users on the subreddit, they’re never going to be able to make everyone happy. Obviously, Valve doesn’t want to alienate the large group of /r/Dota2 readers who play Dota. Valve wants to sell them hats, and keep them interested in the game’s esports scene. It makes sense to pander to that part of the playerbase. But the subreddit needs to know their audience too when attempting to get changes implemented. Spamming the Volvo subreddit? Not helpful. 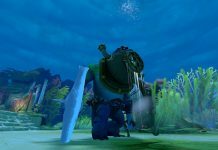 A well-thought out post detailing a flaw within the game that doesn’t accuse Valve of being heartless money-hungry crooks? Probably helpful. Since Reddit users find themselves in a place of power in regard to holding Valve’s attention, they should use that power for good and get real, useful quality-of-life changes made. These few extreme examples aside, many of the complaints that make it to the top of the Dota 2 subreddit are actually worthwhile and justified. Threads on /r/Dota2 were able to get the HP bar changed back to where it displayed numbers. When the new stun bar was implemented in 2016, threads provided Valve with a lot of consumer feedback on the change, and Valve even ended up adjusting it based on that feedback. It’s nice that Valve does implement “cheeky” changes based off of community suggestions or jokes. While Pocket Riki was intended to be a joke, IceFrog did a great job of actually making it a thing in the game. The inclusion of the Enchanted Mango as an item–little is known about IceFrog, but apparently, he likes mangoes–was a cute shout-out to the community. Let’s not forget about Io’s Arcana, either. 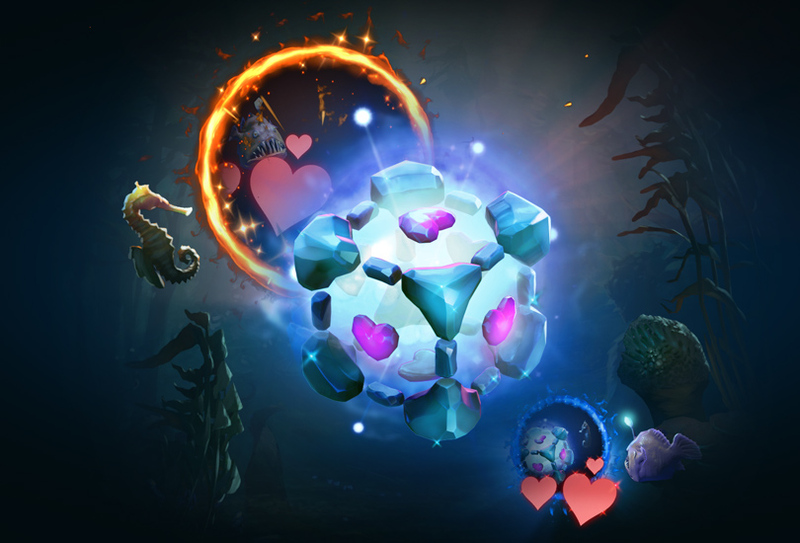 Valve saw how “upset” some players were after Juggernaut won the Arcana Vote at TI6, and ended up adding a special Companion Cube Arcana just for Io this year. If you do a Google search for “Valve listens to Reddit,” the first page of results are all from /r/Dota2. That being said, Valve also produces Counter-Strike, another game that requires patching and rebalancing. 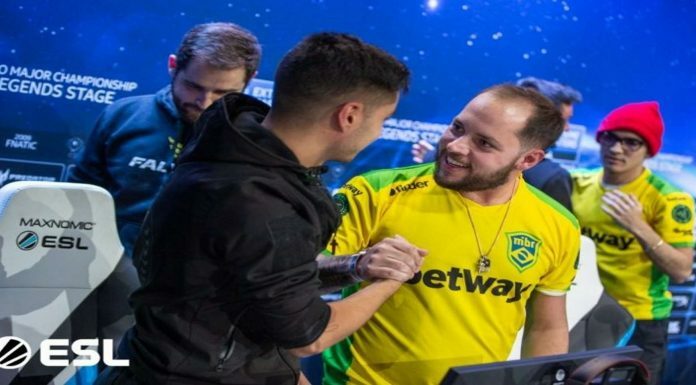 The CS:GO community feels ignored by Valve. Dota 2 receives updates, bug fixes, and game rebalances that (usually) make sense, but CS:GO is plagued by nonsensical changes and game-breaking updates. Part of the issue is Valve isn’t a large company. They might develop some of the most popular PC games of the decade, but there aren’t a ton of people working there unlike Blizzard. As far as I know, it’s mostly programmers and developers. PR people and community outreach specialists aren’t part of how Valve does business. According to Valve’s guide for new employees, developers are given the freedom to work on whatever project they want. If Valve’s team wants to work on Dota 2 content instead of CS:GO, nobody can stop them. While game-specific subreddits might be a pulpit from which to shout things at Valve, Valve rarely directly communicates back barring a few exceptions. With Dota, their form of communication is implementing the changes that were suggested on Reddit. With CounterStrike, if the user-suggested changes don’t get made, the subreddit readers have no way of knowing if Valve is even listening. This Reddit comment sums up a lot of CS:GO’s issues. Admittedly, I don’t keep up with CS:GO much these days, but I do know that the skins market is huge and profitable. Dota players get enraged when there’s a patch that adds hats but ignores a well-documented game bug, I can only imagine how the CS:GO community feels as Valve seems to prioritize the skins market over making quality of life gameplay changes. Ultimately, while we like to think that Valve is on this noble mission to make great games, the company’s function is to make money. It isn’t surprising that they prioritize the profitable aspects of the games they’re responsible for managing, but it isn’t entirely forgivable either. Right now, it appears that Valve isn’t worried about alienating the CS:GO subreddit users as much as the base on /r/Dota2, as fewer community suggested changes ever make it to implementation. Is it a bad thing to listen to the Reddit community? Depends on who you ask. In the long run, showing that they are listening and implementing changes, even if the changes are unpopular with a group of users or have unintended consequences, is probably more advantageous than ignoring such a vocal group of players. 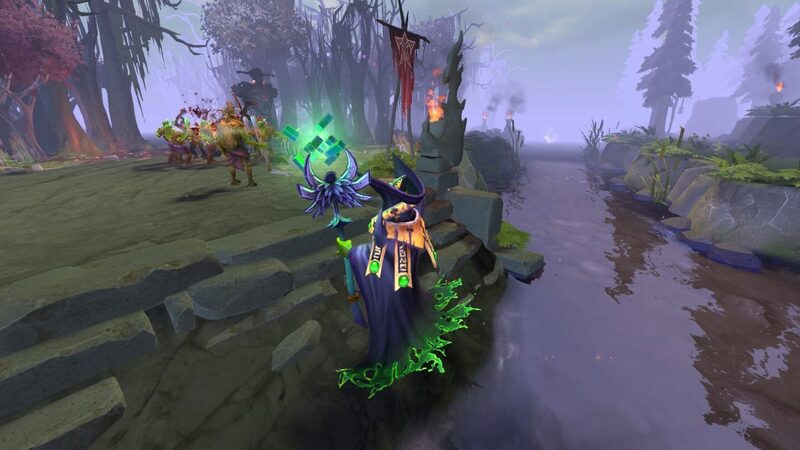 The sins of accidentally breaking Low Priority or sending poorly behaved players to a “shadow pool” are all but forgotten when Io is given a Portal-themed Arcana. Valve, please keep listening to us, but remember that the loud majority on Reddit doesn’t always represent the entire world of Dota 2 players. Previous articleShould Players Be Forced to Give Loser Interviews at TI?